During their recent trip to Scotland, the little guys were keen to soak up as much of the Highland atmosphere as possible. 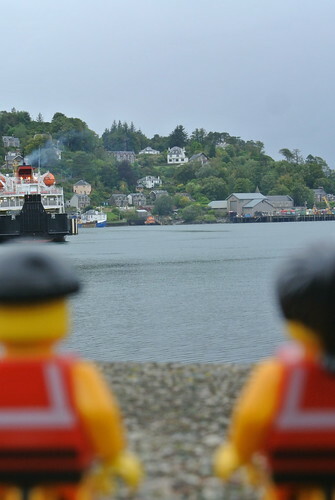 So right at the top of their ‘must visit’ list was the coastal town of Oban, the ‘gateway to the isles’. This historic town, nestled on a well-protected bay, is perhaps best known as a tourist destination for those approaching by land and sea like. But it is also an important ferry port, with ferries travelling to and from many of the Hebridean islands. 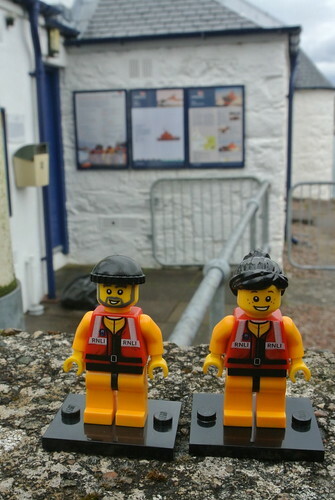 After they’d had a look around the town, the Crew were keen to check out the lifeboat station. They could just make out the lifeboat on the other side of the bay, so quickly set off. The Oban lifeboat station was established in 1972, though its current Trent class lifeboat ‘Mora Edith MacDonald’ has been on station since 1997. Since then, she has been called out over 1,500 times and has saved almost 100 lives. Like the larger Severn class, the Trent is designed to operate safely in all weathers. She is just over 14 metres long and has a crew of 6. She has a maximum speed of 25 knots and a range of 250 nautical miles. And she is powered by two marine diesel engines, each of which pumps out a massive 850 horsepower. Typically, the little guys had failed singularly to plan ahead (and it was getting close to lunchtime), so had to content themselves with a quick wander around the outside of the lifeboat station. They were surprised to learn, though, that despite the relative youthfulness of the station, the building itself is over 180 years old. The ‘Mora Edith MacDonald’ is kept afloat alongside the station building, so that she can be ready to go at a moment’s notice. 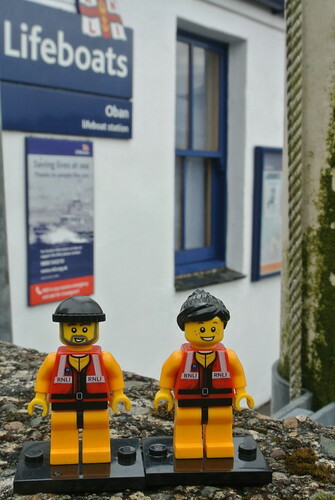 And the Oban crew certainly get a lot of practice, as the station is reputed to be the busiest in Scotland and their current boat was the first all-weather lifeboat to record over 100 launches in a year. 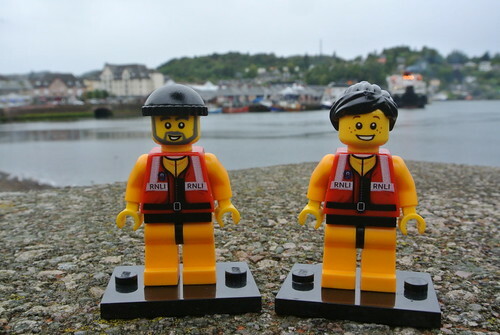 This entry was posted in Out and about and tagged Lifeboats, Oban, RNLI, The Lifeboat Crew by Simon Perks. Bookmark the permalink.